In July 2011 King George Tupou V of Tonga visited New Zealand. 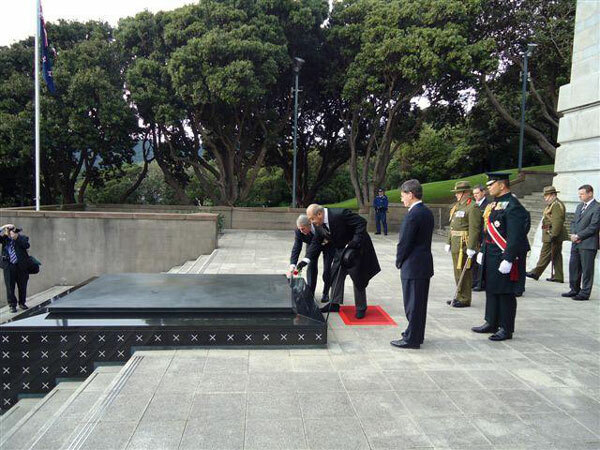 While in Wellington, he paid his respects to New Zealand's war dead at the national war memorial. Here, he is placing a rose on the tomb of the unknown warrior, which is in the Pukeahu National War Memorial Park. These and other important monuments are located in Wellington because it is the capital city.